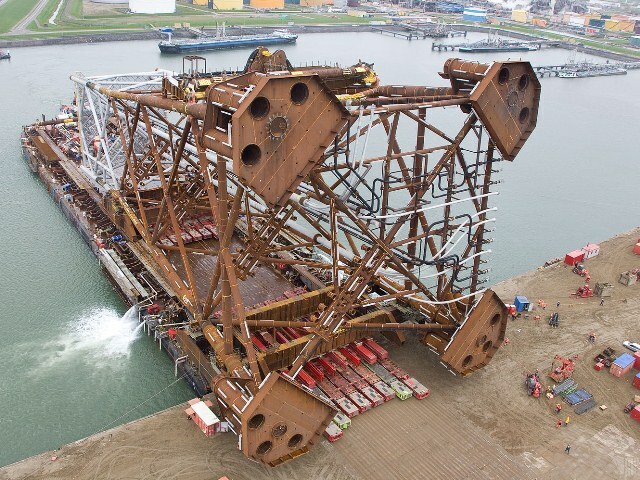 In October 2011 Heerema Fabrication Group was awarded the contract for the parallel fabrication of two jackets and piles for the Golden Eagle Development project of Nexen Petroleum UK Ltd. The construction was executed at the Vlissingen fabrication location and started at the beginning of 2012. 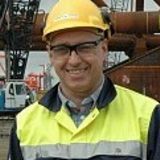 The jackets were installed in the Golden Eagle Field location in the UK sector of the North Sea, approximately 70 kilometers from Aberdeen. The constructions were relatively complicated, with many angles and a challenging number of risers. Where there are normally three or four risers, this jacket has twelve risers. 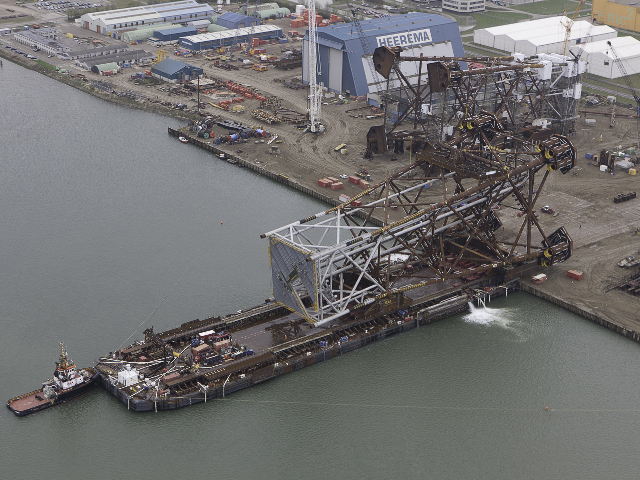 Also logistically this Nexen project was a challenge, as the two large jackets were built almost simultaneously at our Vlissingen yard.